Bill DiPietra had the most liked content! Yup...same here. I had a million questions and they answered every single one. Ask for Katherine Wong. So sorry to hear of his passing. GoodFellas (1990) was the first of his films that I saw, but the atmosphere of The Last Temptation of Christ ​(1988) is my all-time favorite. Rest in peace, Michael. Looks like a great package! Good luck, Richard! Develop the film. Worst case, it's not salvageable. I would have been there as well but I had a previous engagement that I could not cancel. In any case, thanks for the review. It doesn't seem to make much sense that they won't process 7222. If you're going to set up a film lab, at least set it up to process all of your 16/35 negative stocks. If I need to process some 7222, I'll just send the entire order to Fotokem. And I live in Queens! Amazing. That's some piece of history you have there. Arriflex 16s serial numbers and dating. 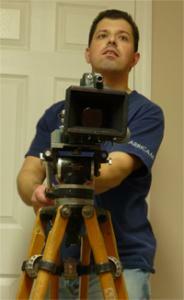 Your best bet is to contact ARRI directly. They are very accommodating.